Ticket price is £3.50 per child. There will be water available to all and included in the ticket price is a slice of pizza and popcorn! 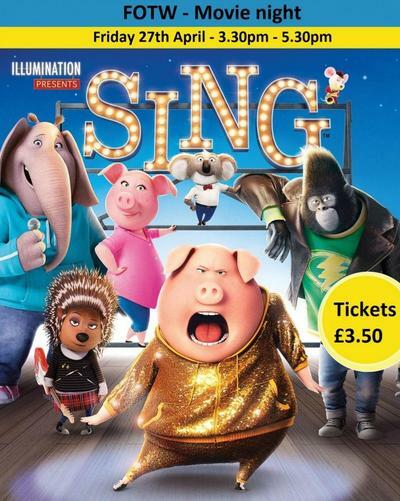 After school has finished children that have purchased a movie ticket will be brought to the main hall by their teacher or a member of the FOTW team, this is so that they can be checked in before the movie starts at 3.30pm. Please don’t forget to give your child their movie ticket! An attendance slip should be completed for each child and these should be returned to the FOTW post box in the school office, together with the entrance fee of £3.50 per child, ideally by Monday 22nd April. This is so that we can make sure we have time to process your ticket request. We're looking forward to a great evening with your children!